The Great Transformation. It has begun. - Don't Be a Cow! The Great Transformation. It has begun. The Great Transformation. Why, why, why? 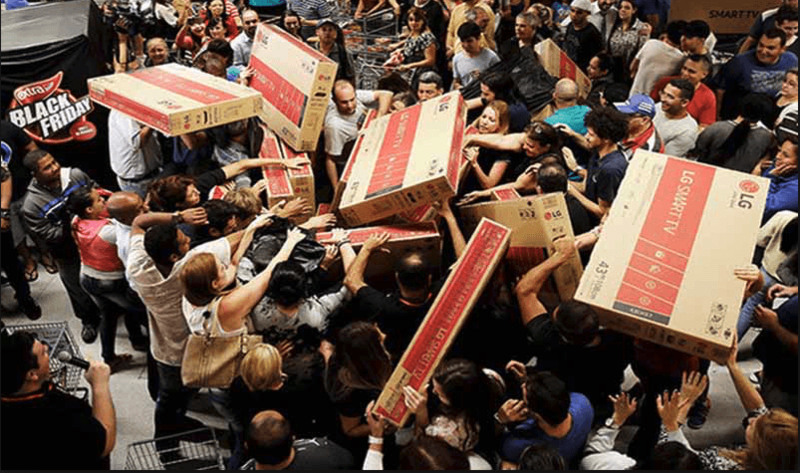 Do so many who seem to be so normal for 11 months out of the year, transform into crazy people at Thanksgiving … then Black Friday … Cyber Monday! And, now it’s in full swing. Suddenly normal is something different than it was just a few days prior. It’s hard to explain, but let’s just say that the “Walking Dead” has nothing on this week of Transformation. X Box 4 (Pick a Number)? The fights, the stampedes; all in the ruse of celebrating the birth of peace! All come and go, yet there’s always the “newest new thing” to create a stampede over? And for what? I bet you can list a hundred more! Don’t Be A Cow! Be You! This is the guiding light that will never fail you. For if you look at it in the proper perspective, this transformation is nothing more than cowism. That is getting you to be anything but you. Soulful Quote:There is nothing more powerful and inspiring than being you! Song: “I’m Dreaming of a White Christmas,” sung by Bing Crosby. Irving Berlin (1940). Game Exercise/Life Changer: Write in large print, on a sheet of paper, “I am not a cow!” Look at it every morning. https://dontbeacow.com/wp-content/uploads/2018/12/Black-Friday-madness.png 475 803 George and Rachel Barker https://dontbeacow.com/wp-content/uploads/2018/01/DONTBELOGO_RED-2.png George and Rachel Barker2018-12-05 13:27:412018-12-05 18:25:35The Great Transformation. It has begun.